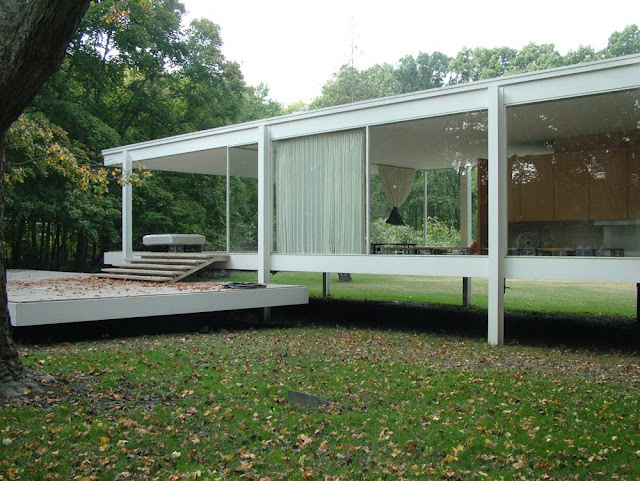 If It's Hip, It's Here (Archives): The New LEGO Farnsworth House & A Look At The Original by Mies van der Rohe. 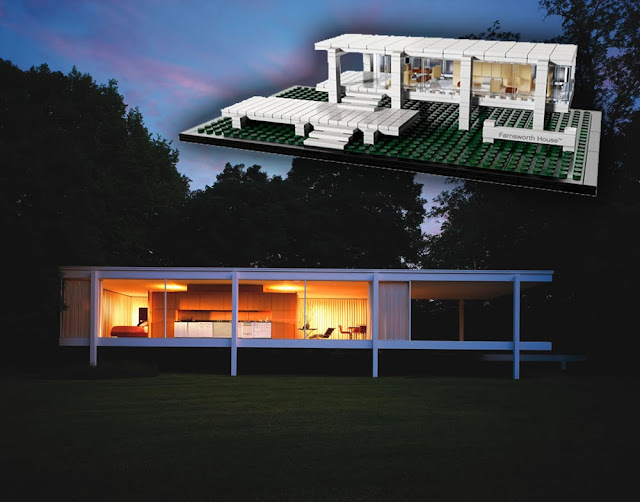 The New LEGO Farnsworth House & A Look At The Original by Mies van der Rohe. 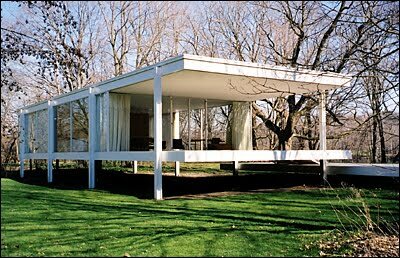 Note: this post has been upated to include more images of the original Farnsworth House in honor of what would be Mies van der Rohe's 126th birthday. 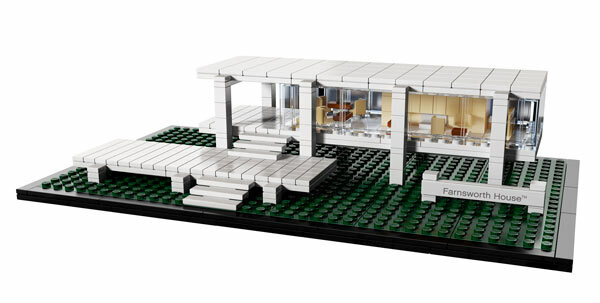 The latest addition to LEGO® Architecture series is the stunning Farnsworth House built in 1951 by Ludwig Mies van der Rohe for Dr. Edith Farnsworth. The house, which has endured floods and other ravages of time, is now a historically protected landmark by the National Trust for Historic Preservation. 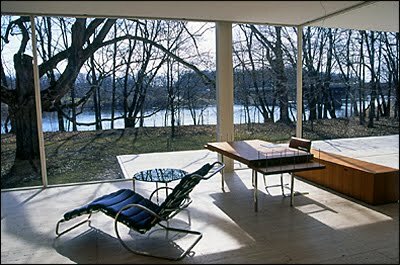 (Images and info about the original Farnsworth house are later in this post). LEGO Architecture is a collaboration between the LEGO Group and Chicago architect Adam Reed Tucker. 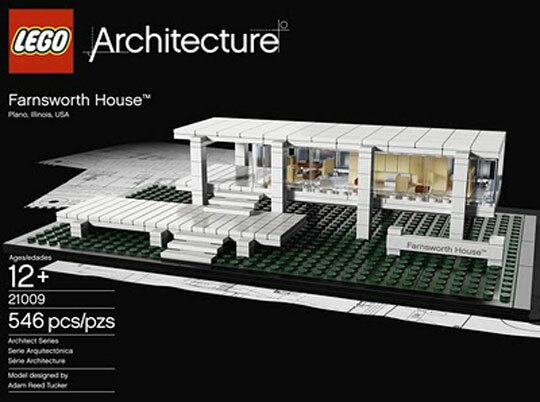 LEGO Architecture products come in two types: Landmark and Architect. 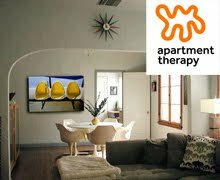 The Landmark series features well-known buildings, while the Architect series focuses on the work of important architects. 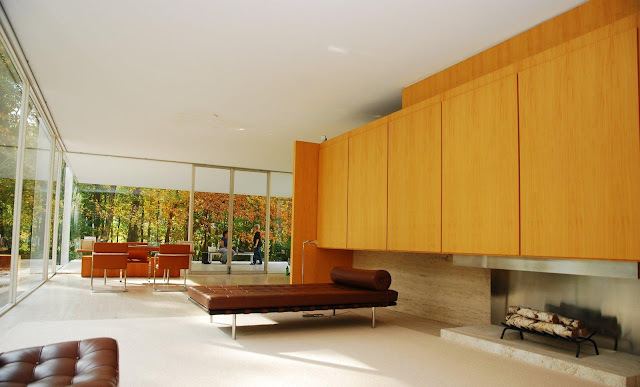 Mies van der Rohe is the second architect to be featured after Frank Lloyd Wright. 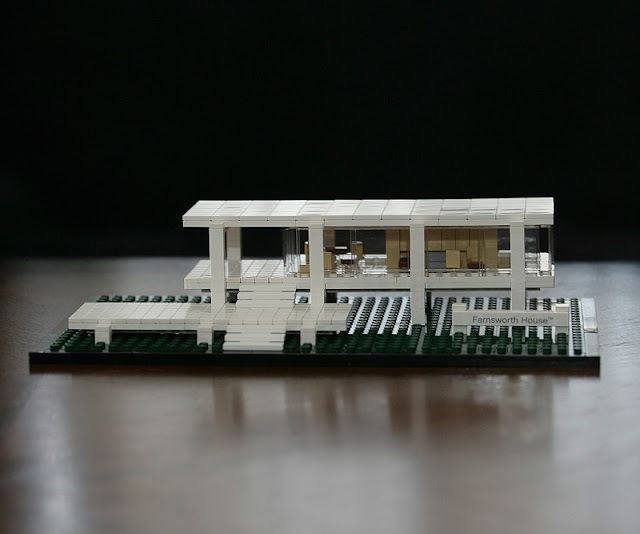 “We are proud to introduce Mies van der Rohe’s Farnsworth House, a new chapter in architectural history for LEGO Architecture. Our main job has been to capture the essence of this iconic design with our own celebrated icon, the LEGO Brick. We hope the model and the story behind the building will be an inspiration to kids and adults around the world” said Paal Smith-Meyer, Head of New Business at the LEGO Group. Farnsworth HouseTM celebrates our 10th model in the LEGO Architecture series. As a minimalist “Steel & Glass” modernist symbol of the 1950s, it delicately balances clean lines, volume of space, minimal structure, and expansive glazing, creating an inviting relationship between the natural and built environments. In order to effectively replicate the balance between the refined white structural elements and expansive clear glazing, I started with the smallest cross section I could make for the vertical exterior columns. After several attempts, the most promising turned out to be using basic 1x1 bricks. 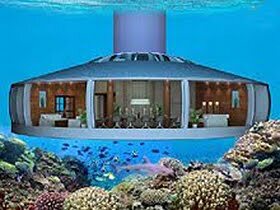 Everything else essentially fell into place: the inviting steps, the floating floor and roof decks, the understated furnishings and cleverly designed built-ins. It’s fitting that recreating a minimalist symbol of modern architecture was done so with the simplest of LEGO bricks, the humble 1x1. 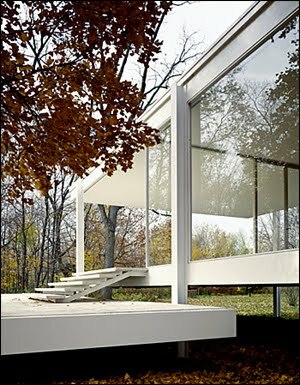 The assembled Farnsworth House model is over 10” (25cm) wide on a base with printed name label and includes a booklet with facts about the building, its construction and history. Meis van der Rohe's Farnsworth House was designed and constructed between 1945 and 1951 as a one-room weekend retreat, located in a once-rural setting, 55 miles (89 km) southwest of Chicago on a 60-acre (240,000 m²) estate adjoining the Fox River, in the city of Plano, Illinois. 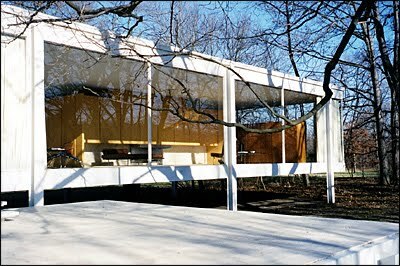 The steel and glass house was commissioned by a prominent Chicago medical specialist, Dr. Edith Farnsworth. 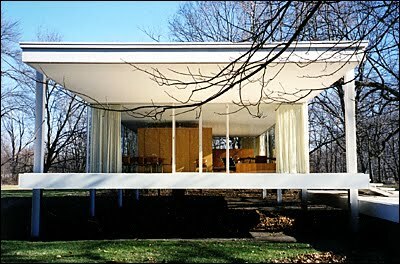 She was highly intelligent, articulate, and intent on building a very special work of modern architecture. 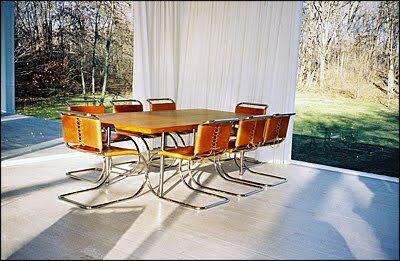 Her instructions to the architect, Mies van der Rohe, were to design the house as if it were for himself. 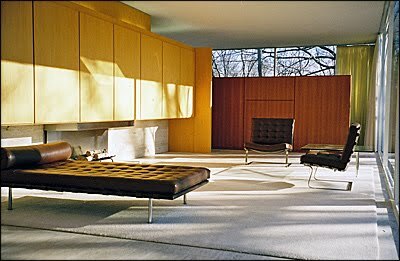 Mies created a 1,585-square-foot (140 m²) house that is now widely recognized as an architectural masterpiece. 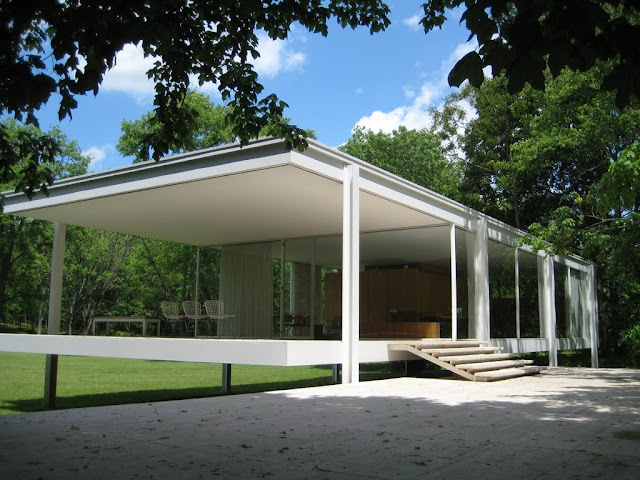 The home was designated a National Historic Landmark in 2006 after being added to the National Register of Historic Places in 2004. 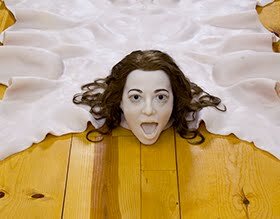 It is currently owned and run as a house museum by the National Trust for Historic Preservation. 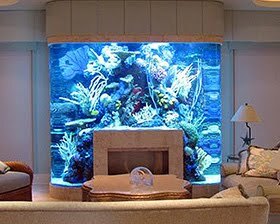 The essential characteristics of the house are immediately apparent. 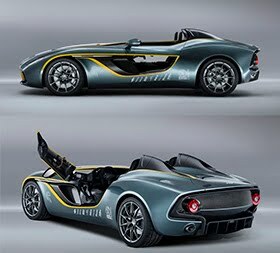 The extensive use of clear floor-to-ceiling glass opens the interior to its natural surroundings to an extreme degree. 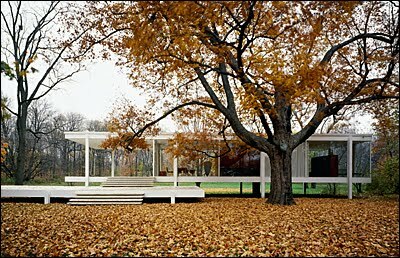 Two distinctly expressed horizontal slabs, which form the roof and the floor, sandwich an open space for living. 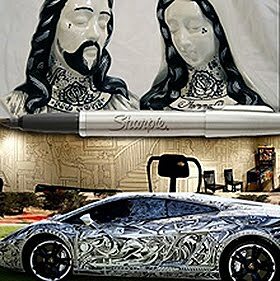 The slab edges are defined by exposed steel structural members painted pure white. 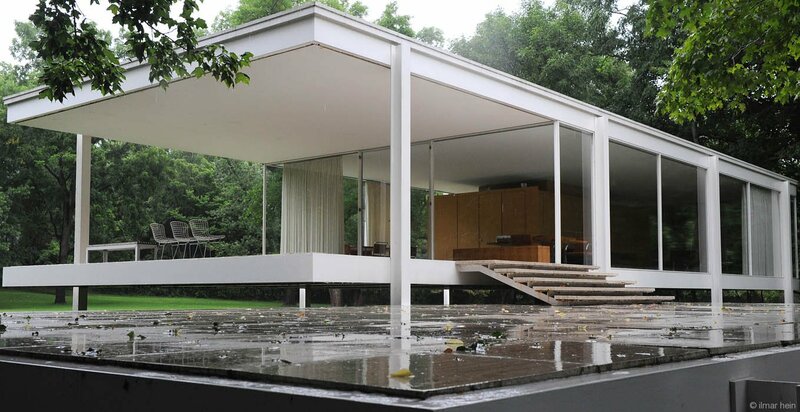 The house is elevated five feet three inches (1.60 m) above the flood plain by eight steel columns, which are attached to the sides of the floor and ceiling slabs. 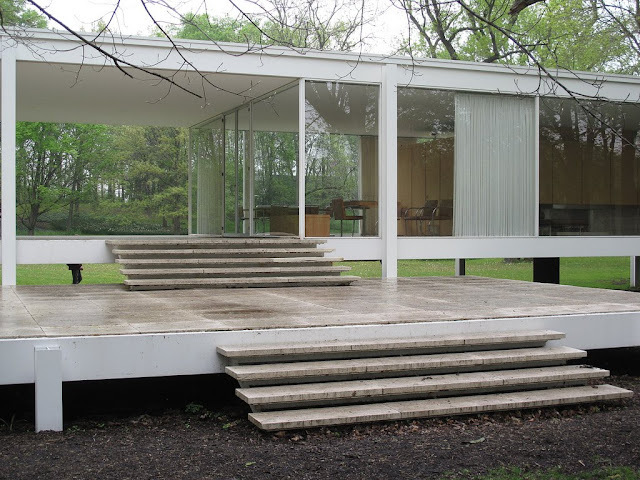 The end of the slabs extend beyond the column supports, creating cantilevers. 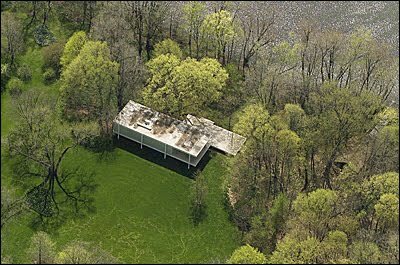 The house seems to float weightlessly above the ground it occupies. The interior appears to be one large room filled with freestanding elements. 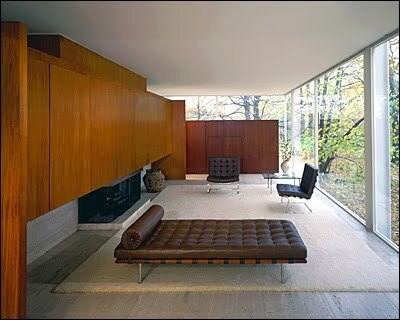 The space is sub-divided but not partitioned, and flows around two wood blocks that Mies called “cores,” one a wardrobe cabinet and the other a kitchen, toilet, and fireplace block. 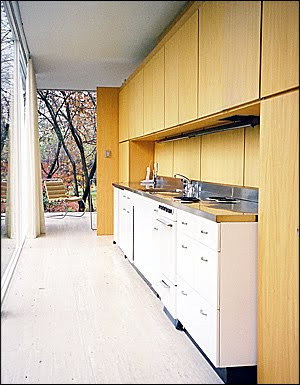 The larger fireplace-kitchen core appears almost as a separate house nestling within the larger glass house. 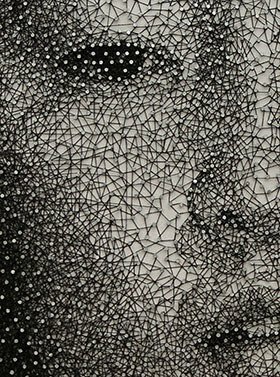 The materials used are quietly luxurious – travertine floors, primavera paneling and silk curtains – and the detailing minimal and meticulous. 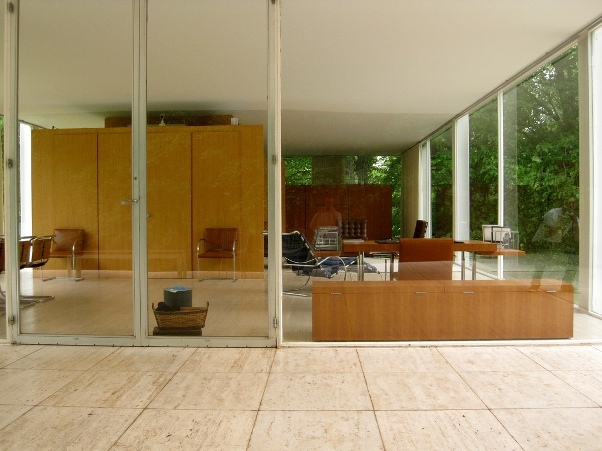 On its completion, Farnsworth House™ received accolades in the architectural press. 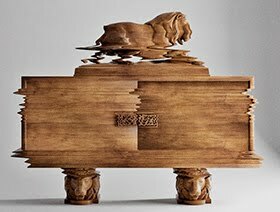 The timeless quality of this house is still regarded with reverent fascination by new generations of architects and designers around the world.